Former Secretary of State Hillary Rodham Clinton speaks at the Massachusetts Conference for Women in Boston, Thursday, Dec. 4, 2014. The State Department has proposed a mid-January deadline to finish its review and release 55,000 pages of former Secretary of State Hillary Clinton's work emails she sent through a private server and has since turned over to the department. Clinton's exclusive use of a personal email account for government business as secretary of state has prompted concerns about transparency and security. 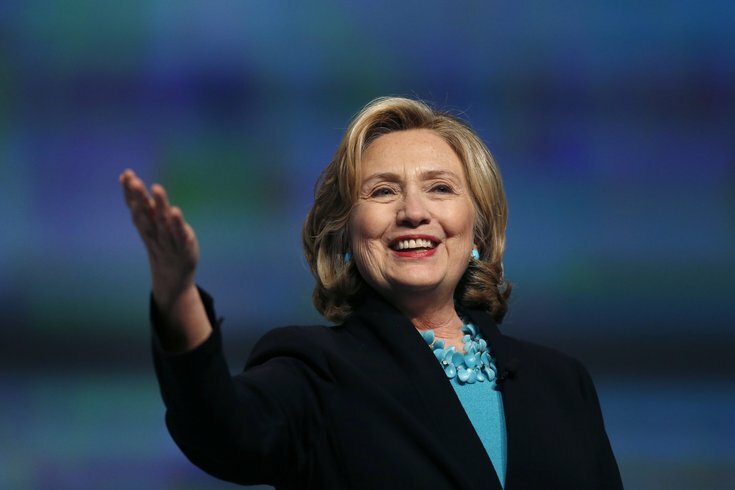 Clinton is the leading contender for the Democratic Party's presidential nomination in 2016, with the Presidential primaries starting as early as February. The Jan. 15, 2016 deadline came to light in a document filed on Monday in a Washington D.C. federal court in a Freedom of Information Act lawsuit by Vice News against the department seeking Clinton's emails. "The Department understands the considerable public's [sic] interest in these records and is endeavoring to complete the review and production of them as expeditiously as possible," the department's acting director of Information Programs and Services John Hackett said in the filing. "The collection is, however, voluminous and, due to the breadth of topics, the nature of the communications, and the interests of several agencies, presents several challenges," he added. Clinton has said she thought it simpler to have one email account so she would only need to carry one email handheld device. She has also said that while she should have used a separate government email account, she violated no rules. Clinton is expected to testify soon before a U.S. House of Representatives panel investigating the deadly 2012 attacks on U.S. diplomatic facilities in Benghazi, Libya, and to answer questions about her email practices. A State Department official testifying before the U.S. Senate Judiciary Committee earlier this month said it was "not acceptable" for staff to conduct official business on a private email server as Clinton did.